More on the AVF Triple Screen Monitor Desk Mount (Black) MRC1304-A below. 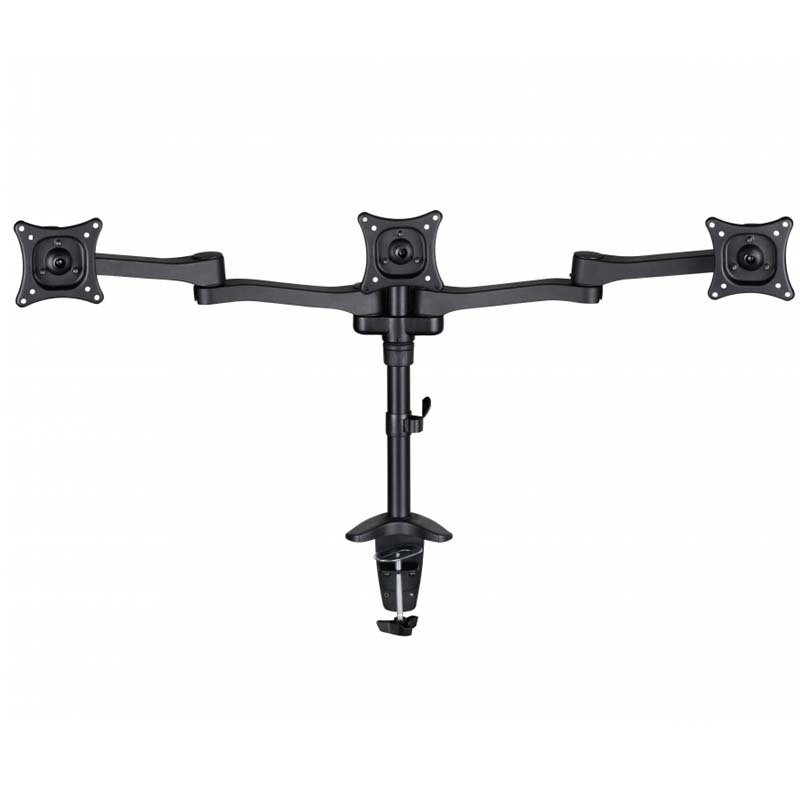 The AVF MRC1304-A is a Triple Head Multi Position Desk Mount for 13 to 27 inch screens and supports up to 11 lbs each. Not only does it free up valuable desk space, but it also places the monitors at your desired viewing position for added comfort and reduced strain. The monitors can be tilted 15 degrees and adjusted in height up to 17.9 inches, placing them at the ideal eye level. It rotates 360 degrees for portrait view (accommodates 13-27 screens) or landscape viewing (accommodates 13-22 screens) and is VESA compatible with hole patterns 75x75mm thru 100x100mm. Can be attached either clamped to the edge of your desk or clamped through the desk cable access hole with a thickness of 0.4  3.1 inches. Cable management is provided through the upright and comes with a 2-year warranty. 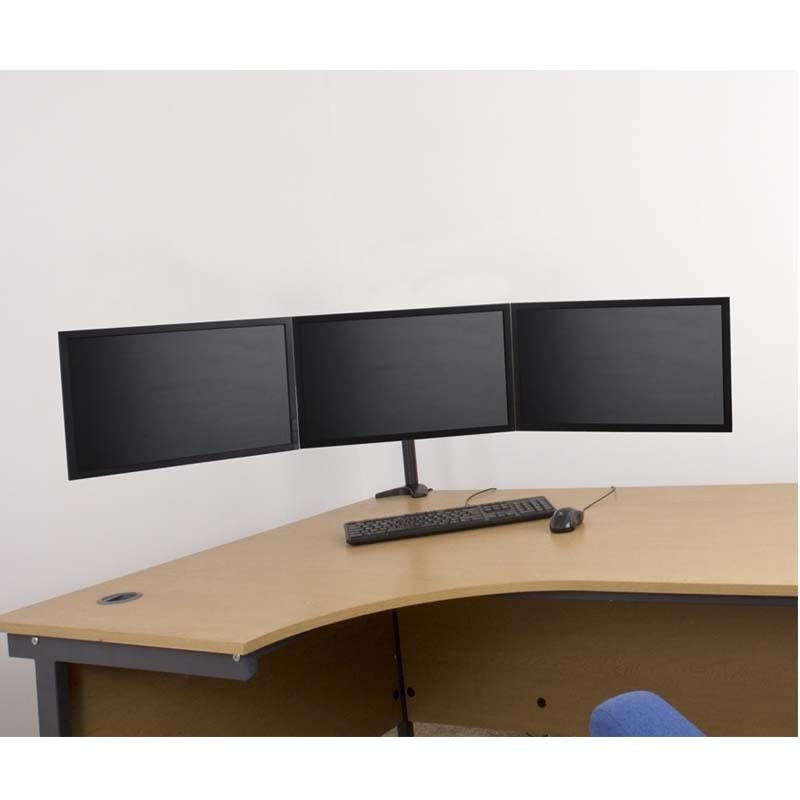 Up to 27" screens for mixed orientation or positioning (see image above). 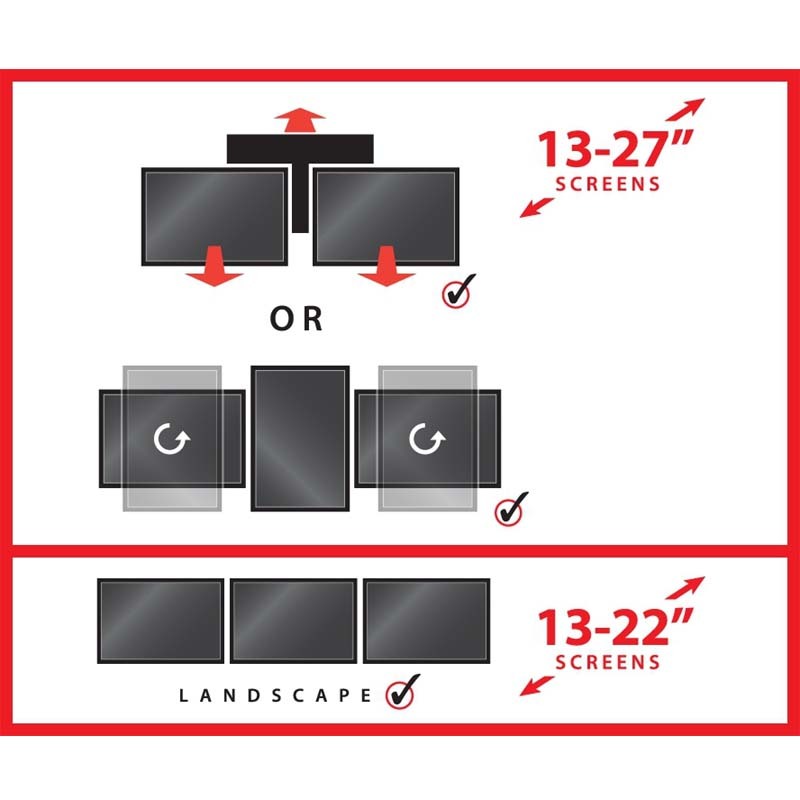 Up to 22" screens for side-by-side landscape orientation (see image above). Adjustable height up to 17.9 inches.